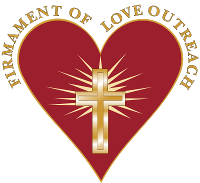 Firmament Of Love Outreach Ministry in Duncanville, Texas, is a faith-based ministry designed to provide personal empowerment tools, uplift your spiritual consciousness, raise self-awareness, and share God's love with each other. We offer our apostolic teachings in order to better the lives of our fellow neighbors. Our services are held at the Hilton Garden Inn Hotel every Thursday night. Services usually last about two hours. The dress code is casual, so free to come in your daily clothing. Every fourth Saturday, we serve a free ministry brunch, also at the Hilton Garden Inn Hotel. We have a core group of about a dozen people who join us regularly. Our services are open to everyone interested in joining or observing our prophetic atmosphere. You can give to our church via the website. All donations are tax deductible. There are no qualifications required to become a member. Before you start, we would like a short meet and greet to discuss your wish to serve and your time availability. All who would like to volunteer are welcome. Feel free to bring your own bible. We provide everything else you need. Water is available during study. 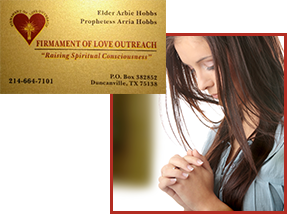 Services are led by Elder Arbie Hobbs and Prophetess Arria Hobbs.